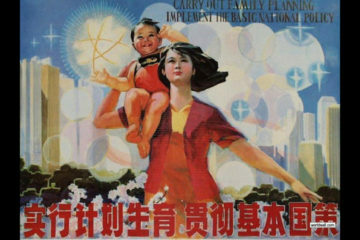 Why would a geneticist endorse the palpably nonsensical equalitarian doctrines of Marxism? THE Skeptical Inquirer for Spring 1992 contains an article — or, more exactly, preliminary notes for a very interesting article — by Martin Gardner, whose robust scepticism I have frequently mentioned in these pages. 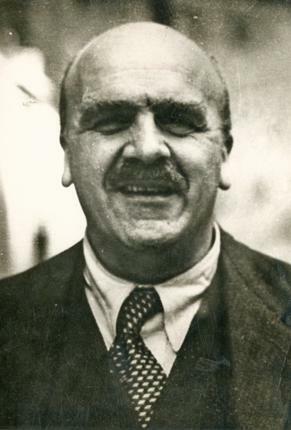 He adumbrates a puzzle that he does not solve, the career of the noted British geneticist, John Burdon Sanderson Haldane (pictured; 1892-1964). It would have been well to note that the geneticist was the son of John Scott Haldane, once well-known for his studies of respiration and ventilation, and the nephew of the statesman, Richard Burden Haldane, who was raised to the peerage as a Viscount, and who is now remembered as the British envoy who (probably on instructions from his superiors in the Liberal Party) refused to consider a treaty of reciprocal neutrality with Germany and thus did his part in involving Britain in the disastrous war that began in 1914. (1) He ended as a colleague of Ramsay MacDonald, whom several British writers have identified as a crypto-Communist. The geneticist, therefore, was the great-great-grandson (2) of John Alexander Haldane, a Scottish evangelist, whose elder brother, Robert, after a distinguished career in the Navy, had his head turned by the rodomontade of the blood-thirsty world-improvers of the French Revolution, and then, not unnaturally, contracted analogous hallucinations about Jesus ben Yahweh. He squandered a fortune, large for the time, in efforts to bring Anglicans and Roman Catholics to True Christianity, and to afflict his god with a multi-racial Heaven, including hordes of niggers from Africa. There is a curious analogy with the career of the geneticist, and there may have been a vein of mental and emotional instability in the family. The man in whom we are interested here is reputed to have been one of the most brilliant British geneticists at a time when such studies were not subject to political pressure and coercion. I accept a valuation which I cannot criticize, since I have not read more of Haldane’s work than a few popular essays, from which, however, it is clear he, of course, accepted the Darwinian doctrine of biological evolution, and that, like many scientists of his generation, he was also a well-educated man. He became an “instructor” (3) in biochemistry at Cambridge. In 1925 his relations with a female named Charlotte Franken, whom he eventually married, involved him in a nasty scandal. It must have been a particularly nasty one, since Cambridge expelled him from the faculty, although it reinstated him, at least for a year or two, when influential Englishmen intervened on his behalf. It is at this point that we crave enlightenment. As everyone even superficially acquainted with the history of our race well knows, the great influence of women on events long antedates their attainment of the privilege of participating in the political corruption that is dear to lovers of “democracy.” What were Charlotte’s character and antecedents? And, crucial here, was she a Communist when Haldane became involved with her? Which converted the other to the new religion? Or was it their faith that attracted them to each other? Haldane, like many a wiser man, was evidently the victim of an illusory infatuation. At the beginning of the Spanish Civil War in 1936, the Communists, obviously operating as a conspiracy with a quasi-military power over its dupes, ordered the woman to Paris as a secret agent of some kind, and she obeyed. It would be interesting to know whether Haldane was distressed or relieved by his wife’s defection. Mrs. Haldane had an affair with an American nitwit who, possibly infected by some stupid or cunning professor of the pseudo-sciences in his college, enlisted in the Abraham Lincoln Brigade and went to Spain to fight for the enemies of civilization, who naturally used the American fools as eminently dispensable shock troops to be thrown into the path of the Spanish Army to delay its advance. Charlotte seems to have been fond of the dunce, for when he was killed, she resented her masters’ use of him as cannon-fodder and eventually emancipated herself from servitude to feral barbarians. According to Mr. Gardner, the woman’s autobiography shows that she had “for years” wished to divorce Haldane, but was forbidden by her masters to do so, because the two suckers were so useful for their “propaganda value.” If her masters did not change their minds, she must have defected from the conspiracy before she obtained a divorce in 1945. Mr. Gardner’s first problem will be that of determining whether Haldane, when he was an undergraduate at Cambridge, was a member of the nest of perverts and traitors who were hatched out in the 1920s by Communists in the faculties of the various colleges and the University, where they were tolerated, in keeping with Anglo-Saxon respect for divergent opinions and eccentricity, on the mistaken supposition that a Marxist faith was no worse than belief in transubstantiation or reincarnation. The undergraduates who became traitors to Western Civilization while at Cambridge and later traitors to their country, when they infiltrated British government and neutralized even Military Intelligence, were all, so far as we know, members of our race and the children of respected and necessarily prosperous families of the middle-class, the gentry, and even the peerage. (4) They were an appalling phenomenon, but if we are to understand their conspiratorial network, we must first determine whether they began as Marxists whose hatred of our culture also found expression in homosexual perversion, or as perverts whose sense of guilt or degeneracy made them hate their betters. Was Haldane a member of that Marxist clique while he was an undergraduate or did he get the new religion only some time after his ill-starred marriage? (He did not openly join the Communist Party until 1942, when it was safe to do so, since England was in the midst of her suicidal Holy War and allied with her implacable enemies; most of the Communist conspirators from Cambridge sedulously avoided all contact with the Party to keep their real allegiance secret and thus to facilitate their covert treason). That is a fundamental question, because we must ascertain whether he became converted to the dire religion before or after he attained competence in genetics, a strictly scientific subject. And it would be interesting to know when Haldane first read the gospel of Mordecai, alias Karl Marx, and got religion — or did he ever read Das Kapital? It is a nice irony that while Marx’s profession of atheism deceived many atheists, who were willing to tolerate and even support any movement that would diminish the power of superstition over society, it did not deceive many sincere Christians, especially those with what John Maynard Keynes called “the strain of Puritanism” in their blood. A typical example is the student in Peterhouse at Cambridge who, according to his tutor, Herbert Butterfield, was “a Biblical fundamentalist of great seriousness. He was early converted to Marxism by regular attendance at meetings of the Student Christian Movement.” That emotional boy represents thousands of Christians who perceived that the gospel of Marx differed from the gospel of Mark in only a few details, which they were willing to disregard. It is not a coincidence that the places where Marxists found it easiest to recruit dupes were Christian seminaries, and it is probable that most of the recruits in the 1920s and 1930s were young men who had believed, or at least wanted to believe, the tall tales in the Christians’ story-book. More recently, of course, since the Marxian Reformation has been accepted by virtually all of the Christian Churches, (6) adherence to its absurd dogmas is just a requisite for advancement in a shabby business. To understand Haldane as a significant phenomenon we need to know the biographical essentials. Was he imbued with superstition in his youth? And was the superstition specifically one about supernatural beings or the derivative one about human perfectibility? The facts could be ascertained, I am sure, from a published biography, but I am not trying to write here the article I hope Mr. Gardner will write. Whatever the determining factors, Haldane evidently became devout in his new faith. It seems that he, like all persons whose glands dictate to their brains, he was a True Believer, incapable of critical thought. Had Lenin declared that the earth did not rotate on its axis, Haldane would have believed it. He did believe something equally fantastic. He believed the biological nonsense devised by a Russian charlatan named Trofim Lysenko because Stalin endorsed it. Stalin, of course, had endorsed it because he, like the rulers of the United States today, saw that a doctrine of human equality (9) was a useful and effective weapon against civilization, but Haldane, like many Communist dupes, was too naïf to understand that. That a geneticist could believe such irrational twaddle is evidence of a mind seriously impaired by some malfunction of the psyche. That Haldane suffered some mental alienation is evident from a statement that Mr. Gardner tells us was seriously meant. Haldane had suffered from chronic constipation for fifteen years “until I read Lenin and other writers, who showed me what was wrong with our society and how to cure it. Since then I have needed no magnesia.” It is a pity that he did not succumb to an older faith and get cured at Lourdes — or in the ruins of the ancient temple of Sequana, who was in the business of miraculous medicine centuries before she had to meet the competition of the fabulous Virgin. That form of superstition would have been less dangerous to him and to society. We need not wonder that Haldane, while he labored mightily for his True Faith, writing voluminously for both British and American editions of the Daily Worker, expressed himself with so little discretion that, as Mr. Gardner says, “he became one of England’s comic eccentrics.” (11) Nor yet is it more than natural that when his faith in Messiah Stalin (not in the Gospel) was at least a little impaired, he hied himself (with a new wife) to India, became an Indian citizen, and went native, on the model of the sleazy agitator named Gandhi, whom the British had stupidly failed to shoot in the 1920s. Haldane’s work as a geneticist was, I assume (since I know no better), commensurate with the scientific reputation he attained. (12) He is, therefore, a prime example of a disastrously common phenomenon, a combination of scientific talent with an extraordinary credulity and capacity for auto-hypnosis. A genuinely psychological study of the causes of his mental deformation or deterioration would therefore be of great interest and of considerable value in diagnosing the most virulent epidemic disease of our time. So I recommend the subject to Martin Gardner as one on which he has made a good beginning. It has been a very long time since I read Stephen Koch’s book Double Lives: Spies and Writers in the Secret Soviet War of Ideas against the West, but I remember a striking phrase that appeared in its pages: “lying for the truth.” Communists were enjoined to tell the most egregious lies on the grounds that they were thereby advancing the supposedly “higher truth” of the communist cult.